Auto loan deficiencies are rising sharply in the United States. The rate of consumers defaulting on auto loans has steadily increased and is now at the highest rate they have ever been since this data has been recorded. Today, 7 million people are behind on their car payments by 90 days or more. Credit score also seems to make an impact, with delinquency increasing to 8% of persons with credit scores lower than 620 in the fourth quarter of 2018. With this steady incline of loan defaults, the recovery of auto accounts has become more intricate. So, what makes auto accounts different from other account receivables? When a borrower becomes late on the payments of an auto lease or loan, lenders seek the fastest and most efficient way to contact borrowers and locate the vehicle. Skip tracing and location technology helps to locate consumers and yield maximum success. Using skip tracing and location data, lenders are faster and more accurate in the location and repossession of the asset. Auto receivables differ from unsecured accounts in that once the vehicle, or collateral, is located, it is repossessed (or surrendered) and sold by the lender to regain lost revenue. 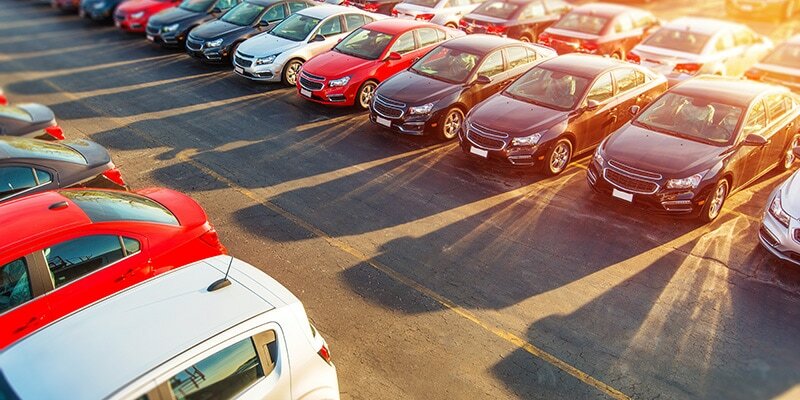 Because vehicles can be moved easily from one location to another, it is imperative to leverage the most efficient and accurate skip tracing methods to minimize risk for lenders when seizing a vehicular asset. Repossession, or surrender and sale, of a vehicular asset may still leave the consumer with a debt. The laws and regulations governing repossession vary from state to state, making recovery of auto receivables tricky. When a vehicle is surrendered or repossessed and put back into the market, the sale of the vehicle can reduce the amount owed by the current value, but there may still be a difference which must still be resolved. Consumers may not understand why this balance remains on the account after the sale. All of these factors require a knowledgeable professional who is experienced and well-versed in the auto recovery processes. Often, the debtor requires assistance understanding the debt as well as the addition of actual fees such as court costs, excess mileage, and wear and tear. Many customers lease or purchase a car based on brand preference and loyalty. Even if a consumer defaults on an agreement, that may not prevent them from a future lease or purchase of the same brand. For this reason, recovery teams must work carefully to protect the brand through effective communication and professional customer service. National Debt Holdings understands the many intricacies associated with the recovery of lost auto revenue. Our experienced management team uses data analytics, advanced technology, and strategically-designed systems and processes to compliantly manage auto portfolios and maximize recovery performance. We deliver exceptional customer service through relationship-building to help protect the brand of our auto lender clients. National Debt Holdings is a client-centric receivables management firm assisting creditors with improving their cash flow performance from account portfolios. Headquartered in Miami, National Debt Holdings’ team of professionals strives to provide meaningful personal relationships and develop customized financial solutions that create success for everyone while protecting the brand and reputation of clients.